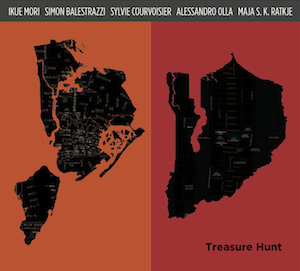 Ikue Mori, Simon Balestrazzi, Sylvie Courvoisier, Alessandro Olla, Maja S. K. Ratkje recorded this album on Sardinia in 2010. Recorded by Matteo Sanna at TiConZero Studio (Cagliari, Italy), Septemper 29, 30, 2010 except track 2 recorded live at SIGNAL festival (Cagliari), October 1, 2010. This entry was posted in Blog, Full length album features, Recorded improvisation. Bookmark the permalink.